Napoli hosts Lazio in a derby game from the 20th round of the Italian Serie A. Let’s take a look at this fixture at the Stadio San Paolo on Sunday night. Napoli are arguably “the best from the rest” in the Serie A, being only behind Juventus in the current standings of the Calcio. Carlo Ancelotti’s team is 2nd in the league with 44 points, having 5 points advantage in front of the 3rd Inter. It’s quite impossible to talk about beating Juventus for the title, but finishing 2nd would be another good achievement for Napoli. Right now Napoli have a record of 14 wins, 2 draws and 3 defeats in the Serie A. In their last give games the Azzurri won four times, only losing points during the 0-1 defeat against Inter at the San Siro. In their last game Napoli enjoyed a 3-2 win over Bologna at home. It was a good day for the Polish striker Arkadiusz Milik, who scored two goals in the game. Dries Mertens scored the winner in the 88th minute, while Santander and Danilo scored for Bologna. As for Lazio, the Eagles are also fighting hard for a Top 4 finish and a return to the Champions League. Right now Simone Inzaghi’s boys are 4th in the league with 32 points, but having just one point advantage in front of the 5th Milan. Lazio’s record in the league so far shows 9 wins, 5 draws and 5 defeats. In their last five games the Eagles won twice, made two draws and lost once against Atalanta. In their last game Simone Inzaghi’s boys made a 1-1 draw against Torino at home. Andrea Belotti opened the score for the Bulls, but Milinkovic-Savic equalized for Lazio. 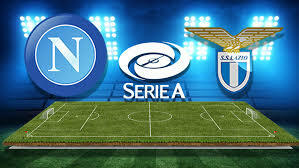 This shall be a great football spectacle between Napoli and Lazio. Both teams are very good. We wish you good luck.